After months of waiting, Model 3 gets the Summon parking feature, which has been available on the other Teslas for a while. The feature allows the car to park autonomously in tight spaces where the doors can’t be opened and without anyone in the car, which is a huge help when you have a tiny garage or need to park next to a wall. If programmed, the Summon parking feature can even operate the garage door as it parks, or when it is called out of its parking spot by the owner. Tesla confirmed the news in a tweet shortly after a video was released showing a Model 3 maneuvering itself into a tight garage. 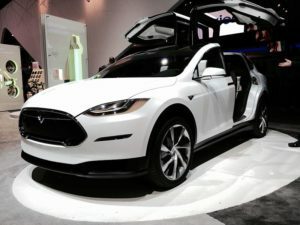 CEO Elon Musk commented on Tesla tweet and noted that no one was in the car or controlled it remotely and the car was driving “entirely by itself”. Summon parking feature is part of an over-the-air software update for the Model 3 that was announced a few weeks ago. An increasing number of automakers are introducing new features or capabilities through over-the-air software updates. Summon parking feature is available only when cars have Tesla’s Autopilot driver-assist system and its requisite hardware suite but most Model 3 built so far are so equipped.